They say good things come in threes, having caught Savage Part 1 at the ABC in Glasgow last Autumn, it was clear that Mr Numan had grown too big for smaller venues, it was crammed to the rafters, I wasnae in particularly fine fetal. Having just dashed from the cinema from seeing Bladerunner 2. It was so the wrong thing to do. I was in a relationship that was ending and Savage part 1, kinda finished it. So when the Savage part 2 dates were released and The Assembly Rooms in Edinburgh was one of them. I knew a review was in order. It was a very cold March night. I had managed to get a Review pass and without a troublesome relationship weighing me down, I got into the Savage flow. Had a brilliant boogie but didn’t think the venue did the performance justice. So when The Orchestral Savage Dates were released I was non-fussed because I thought that he had said all he could do with Savage. I kinda decided that I was nae gonna do Savage Part 3. Then came into a bit of unexpected money, So when two surplus tickets went up on a Numan FB thing, I snapped them up, two for £40. Amisa Neonova had been telling me all year how much she wanted to see Numan. So this was the opportunity. Indeed it was fantastic. We took our seats, Block C, was to the side, with a perfect view of the stage, In front of a curtain Christopher Payne who happens to have been part of Numans original band playing synths and violin. accompanied by his wife. Showed us why he is a band member and not a lead man, at times he looked bored and more than a little uncomfortable that his lap top was doing all the work and that he had very little to do. Even looking at his watch to see how much longer he had left. It was a reasonable support act though. His rendition of Fade To Grey by Visage, Chris was part of Visage too and along with Billy Currie was credited with its creation, Albeit without a male vocal, with wifey doing the French girl bits. When Chris engaged the audience in clapping, it got a bit cringesome. 3 Stars for the Support. With Glasgow being the last night of the Orchestral Tour, I knew that this was going to be a good one. Having sold out The Royal Albert Hall the night before, The Orchestra and band were perfectly warmed up. Numan has always suited a bigger stage and he does like to put on a spectacular show, The Orchestral Savage are the largest venues he has done since his Wembley Performances in the 80’s. Now Numan with an Orchestra, And yes it did work so very well, from the moment the curtain dropped, the packed Royal Concert Hall became fully engaged in the delight that was unfolding. The orchestra comprised of strings and a glockenspiel brilliantly conducted by Simon Robertshaw. The Skaparis Orchestra with Numans touring band of 25 years, together they recreated a fine selection of Numan classics both old and new. I am pretty sure that everyone who experienced Savage Part 3 would agree that The Skaparis Orchestra brought a much needed musical depth to the songs I have heard performed many times, The most beautiful part was seeing just how much delight they were taking from their art. The light show and stage presentation was just brilliant From early classics. Metal, Films, AFE, Down In The Park. The middle period “My Breathing” A song about his disappointment at the BBC for refusing to play his songs on the radio. It took me back in time to the olden days and was delighted with the orchestral string treatment, His daughter Persia taking the girl vocal parts in her stride and of course her vocal parts in “My Name Is Ruin” were nothing less than fantastic. The perfect Proud Dad and Daughter moments ❤ It was the perfect concert and indeed it was third time lucky, Savage Part Three worked on so many different levels. It was nothing less than 5 Star Entertainment. Last night Gary Numan shifted his game up a gear or two, something very special is brewing. Gary Numan And Skaparis Orchestra took his work to a whole new different level and as a long time fan, I am so so glad I experienced lasts nights performance, Really! It was that good. Hello Katch, so where are you from &amp; where are you at, geographically speaking? Katch: I was born in Dumfries and brought up at Knockengorroch. I live in Edinburgh now though am in Galloway often. Many people both in Scotland & further afield know you through the Knockengorroch Festival, Can you tell us about it? world and also a great emphasis on the environment and heritage of the area. You’ve taken over the running operation from your parents – do they still get involved? You’ve got three famous performers from history coming to play at Knocky next year. Who would they be? Katch: Joni Mitchell, Tracy Chapman, Bob Marley. What does Katch Holmes like to do when she’s kicking back? Katch: Walks in beautiful places with family, dance and yoga. In 2012 you became a Clore Cultural Leadership fellow – can you tell us about this? SOAS university as well as travel to the Western Saharawi refugee camps in Algeria to research how their music bonded their community and identity under occupation. I learnt a lot and gained courage to strike out on my own path following the programme. Can you tell us about the Oran Bagraidh residency & its goals? poem. It turned out his opinions were fascinating and complex and also controversial – and this obviously piqued my interest further! I wanted to bring a wider attention to the piece and involve artists in its treatment as I felt up until then, apart from my father, it had been mainly academics who had spent any time on it. I first had the idea around 2 years ago, applied for funding and the rest is history! Which artists attended the residency? The first single has just been released, why did you select this one? Katch: This is the Oran Bagraidh – it’s the title single from the project. The song. It had to be this one. The album is out in February – how is this sounding at the moment, & can you tell us about its sonic tapestry? Katch: The album is an incredibly diverse piece of work. I love it. It moves from ancient medieval type trance to cross Scots/ Irish Gaelic traditional to acapella Welsh/ Irish/ Gaelic to spoken word, gothic dream pop and electronic soundscapes. It covers 5 languages and 15 centuries! Will there be an Oran Bagraidh in 2019? 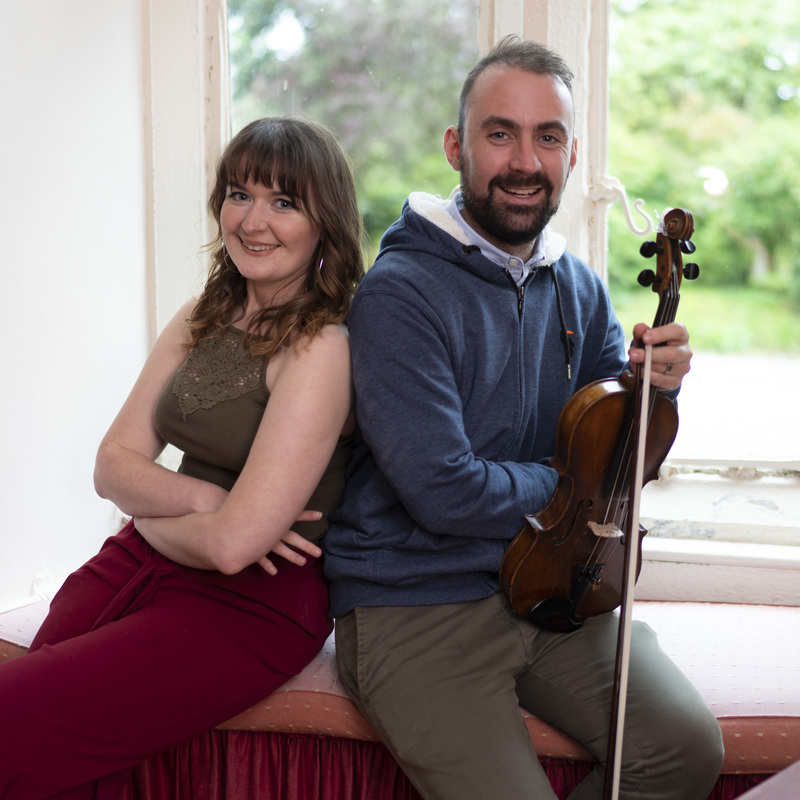 Katch: The Oran Bagraidh collaboration will be touring in 2019. We will launch the album at Celtic Connections on February 2 and play Knockengorroch on 26 May (you heard it here first) then move onto Wales and Ireland. I hope that starting this project will lead to a much wider appreciation and interest in this song and indeed Galloway’s history more generally. It would be great if we could find another version of the song somewhere as this might help us understand what it means and what time it is from. The spacious Stevenson Hall is the Royal Conservatoire’s main concert hall and feels like a sumptuous space with its rich red embroidered curtains and classic red seats, not to mention the beautiful pipe organ at the side of the stage. We filled the stalls, chatting about the performers and the evening of guitar music to come, the finale of the RCS’s successful Big Guitar Weekend 2018. The first duo took to the stage; tenor voice, Ben Johnson with guitarist, Sean Shibe, and began with a piece by Benjamin Britten (1913-1976); “I will give my love an apple”. The carefully selected programme – 13 songs by 11 composers – ranged back in time to composer John Dowland (1563-1626); “Come again, Sweet love!” and included Britten’s “Master Kilby” and an anonymous piece “In love”, performed in six movements. The pair had carefully researched their music to put together a programme which made them happy. In some ways it was a modern take on the music, whilst written and performed in the vein of old time compositions. By the time we got to their final song, the culmination of the interplay and interdependence of the gentle tenor voice and the slight touch of guitar, playing for our ears and our very souls, was having a profound effect on the audience, who were silently transfixed. In the plethora of compositions, each composer was honoured – a definingly moving and emotionally caressing tribute to writers and performers. In the second half of the evening, we were entertained by ‘Artist Gitarren Duo’ a duo formed by German guitarists Julia Zielinski and Christian Zielinski. The first piece, by Georg Friedrich Handel (1685-1759) was originally written for the harpsichord. But the 21 variations of the Chaconne in G, were played here to perfection on the two guitars, and provided a great cornerstone to the evening’s bespoke exploration of musical genres. A performance of El Amor Brujo by the Spanish composer Manuel de Falla (1876-1946) ended the evening perfectly. This was a beautifully crafted evening where the two sets of musicians performed with great ease while triumphing over very complex compositions. In their hands it seemed that the beauty of guitar music had no limits – they all deserve high praise, well done! It was an experience I was glad to have witnessed and will take to heart. The Ledger Recital Room at the Royal Conservatoire is the perfect venue for the RCS’s popular Mondays at One series, with its striking open space and fantastic acoustics. For today’s performance (22 October) the stage was set with a grand piano and four sets of chairs with music stands. Entering from the back, the singers took their places – two male and two female voices, with the pianists (Timothy Dean and Geoffrey Tandi) seated at the piano – the four hands. They were to perform love songs from those two masters of the Romantic movement, Johannes Brahms and Robert Schumann. A short introduction by Timothy reminded us of the power of music to express deep emotions and tell a heartfelt story which would include darkness and anguish as well as the transformative effects of love. Firstly Brahms with his Liebsleider Waltzer Op 52, a collection of love songs said to have been inspired by Schumann, whom he greatly admired. The lyrics are taken from folk songs and love poems. Schumann’s Spansche Liebsleider Op 138, is a cycle of 10 love songs written in 1840, the year after he married his wife Clara. First up were Catrin Woodruff (Soprano), Lea Show (Mezzo-soprano), Robin Horgan (Tenor) and Rhys Thomas (Bass), rising to perform the Brahms songs in various different combinations – solos, duets, quartets, their voices soaring beautifully to fill the wooden auditorium. They sang to us, stirring and absorbing us, commanding our attention in a theatrical, operatic way. The lyrics flowed over us in a deluge of themes and ideas, with the backdrop screen translating from the German to aid our understanding. “…if in her happiness, she thinks of me…” expressed all the hopes of the heart that love would conquer all. As I observed each singer I found myself transfixed by the power of voices and how each singer moved in different ways to reach the height and the depths of vocal intensity. As we moved on to the Schumann pieces, four new singers took to the stage, Sara Neally (Soprano), Carolyn Holt (Mezzo-soprano), Matthew McKinney (Tenor) and Arthur Bruce (Baritone), introducing a somewhat lighter, livelier tone, giving us a fresh perspective on the familiar theme. “She’s as fair as the flowers, as angry as the sea” telling of the contradictions and unanswered questions that tormented the composer, and the irony of “I would have become a monk long ago if it weren’t for woman”. The vocals always being guided by the piano as they wove their complex story in different combinations; a solo here, a duet there, a quartet, an intermezzo where the piano played alone. By the time the artists took their bows, to enthusiastic applause, I felt I’d been told a story encompassing whole lifetimes of emotion and experience, alongside some truly magnificent music, from slow, almost mourning, melodies, to great storms of sound or lively joyful strains which lifted the heart. I had found myself captivated by each singer in turn, fascinated by all the different ways in which they brought their performances to life, either solo or interacting with each other. The translations by Eric James and Emily Ezurt also enhanced my enjoyment, meaning I could enjoy the German culture while being able to appreciate the significance of the words. And then there was the piano with its duo of players, providing the perfect, unifying, final piece of the jigsaw. ‘Four Hands and Four Voices’ was the ideal way to spend 55 minutes. If you have an hour to spare at lunch time in Glasgow, take yourself along to the Royal Conservatoire for ‘Mondays at One’. Each Monday lunchtime is a little gem in itself, a perfectly formed one-hour chamber recital featuring world class musicians and the very best of music. Come along and be inspired, uplifted and refreshed. It was a great pleasure to be back at the Paisley Spree’s best venue, the fabulous Spiegel tent. A circular, swirling, special space with a spectacular stage surrounded by mirrors (hence the name), and with a great view from any perspective. The stage was set with instruments standing ready to be played, making the period of suspense as we waited for the music to start all the more potent. Vieux sat down with a guitar and a mic and proved instantly that power in music does not always come with numbers. In fact, his musical grace somehow pulled us in to a far greater degree than more lively music could have. As he began to sing in sync with his guitar, I found myself listening to music that I had only ever heard in recordings, and like everyone in the room, was mesmerised and filled with awe and respect. His African lyrics brought a style with them that his melodies translated into something that was free for all to understand. This performance was pure, joyful entertainment. We could hear multiple genres in each of his masterful nuances. Entwining them and using them to tell stories the highs and lows of his life experiences, understood in the universality of music. There was something pure and wise streaming from his fingers as they moved up and down the neck of his guitar. Later, he brought Calum back on stage and the two musicians jammed together, blending their instruments in a masterly way to fill the space with ever more intriguing melodies and new musical insights. They smiled in appreciation of each other’s skill. It was wonderful to walk into that famous tent to a warm welcome and an enticing evening; to be surrounded by music at its most meaningful and universal; to be glued to your seat by the sheer virtuosity on display. If you ever get the chance to go and see Vieux or Callum live, take it, you won’t regret it.